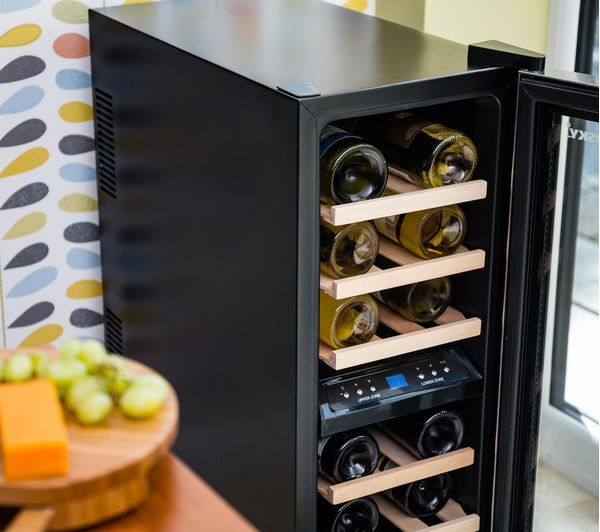 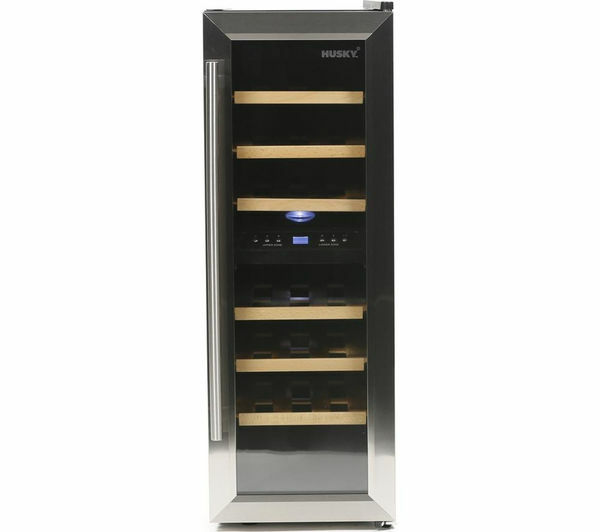 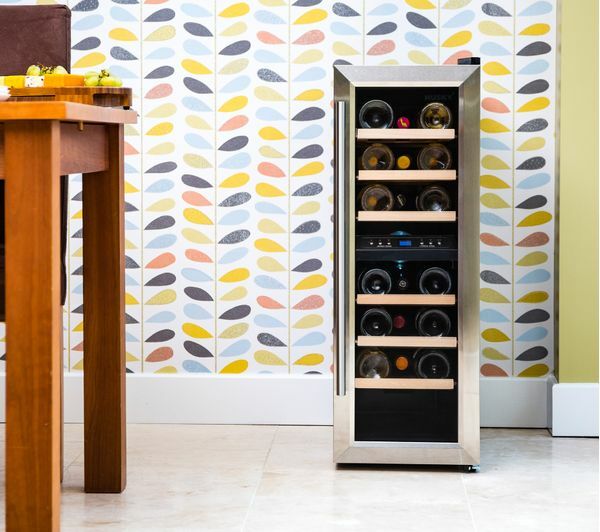 Take care of your drinks with the Husky HUS-CN215 Drinks & Wine Cooler, boasting a 21 bottle capacity, dual temperature zones and a stylish appearance.The wine cooler is divided into two zones, allowing you to store red and white wine separately at optimum temperature. 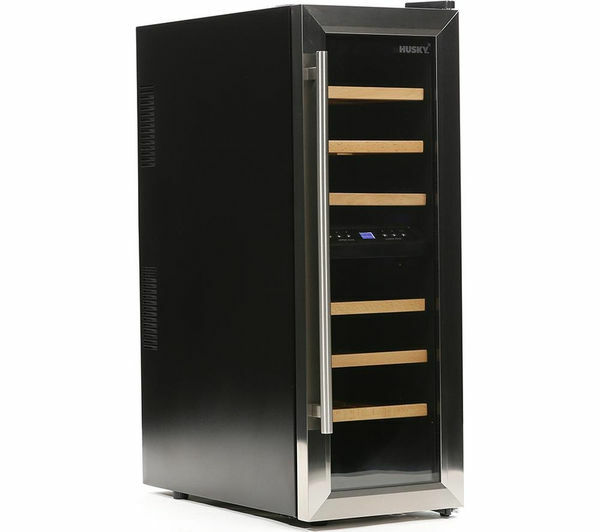 The upper zone can be set between 7 and 18 degrees and the lower zone from 12 to 18 degrees. 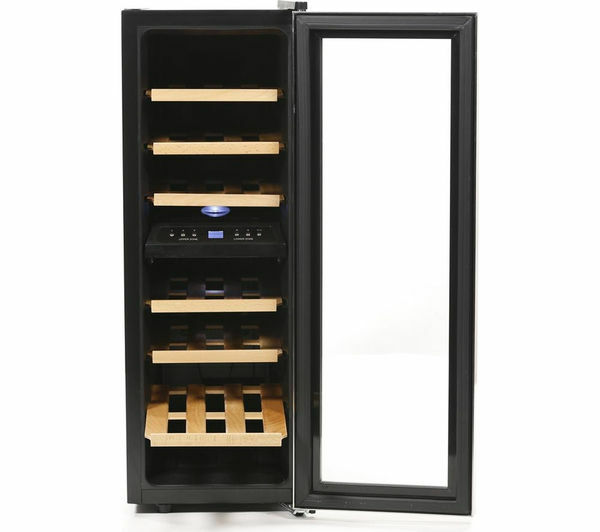 The slimline cooler has a total of six wooden shelves and an LCD digital temperature display. 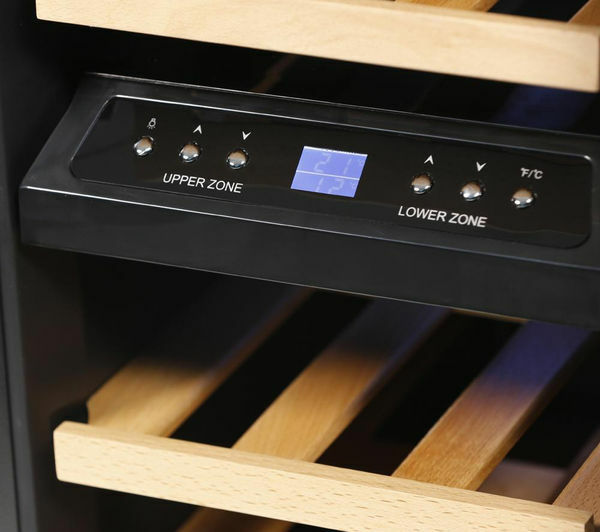 Simple controls allow you to set and monitor the temperature in both zones. 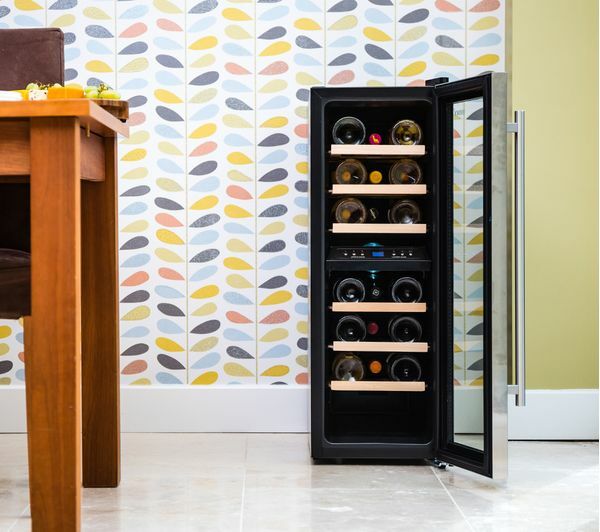 Vibrations and other disturbances can affect the quality of wine when it is being stored. 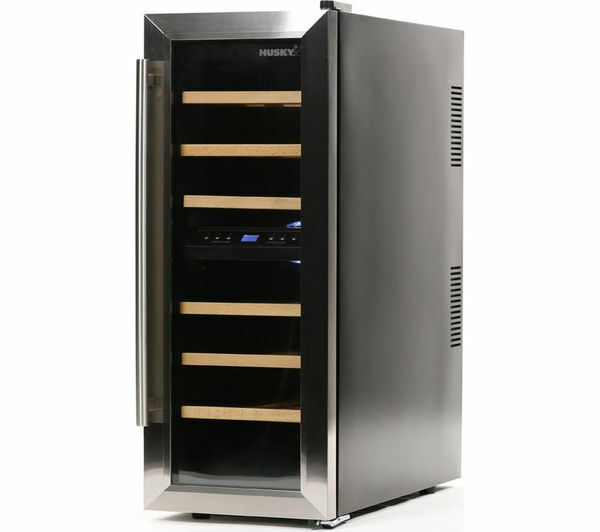 To combat this, the Husky HUS-CN215 uses thermoelectric technology to reduce vibrations within the machine. 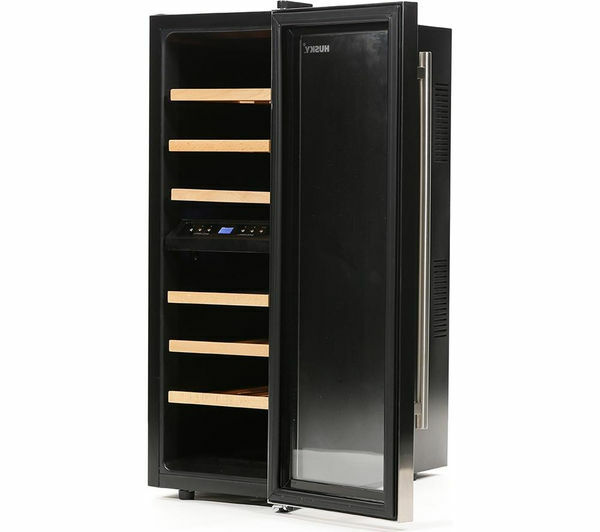 It also gives the cooler a low operating volume. 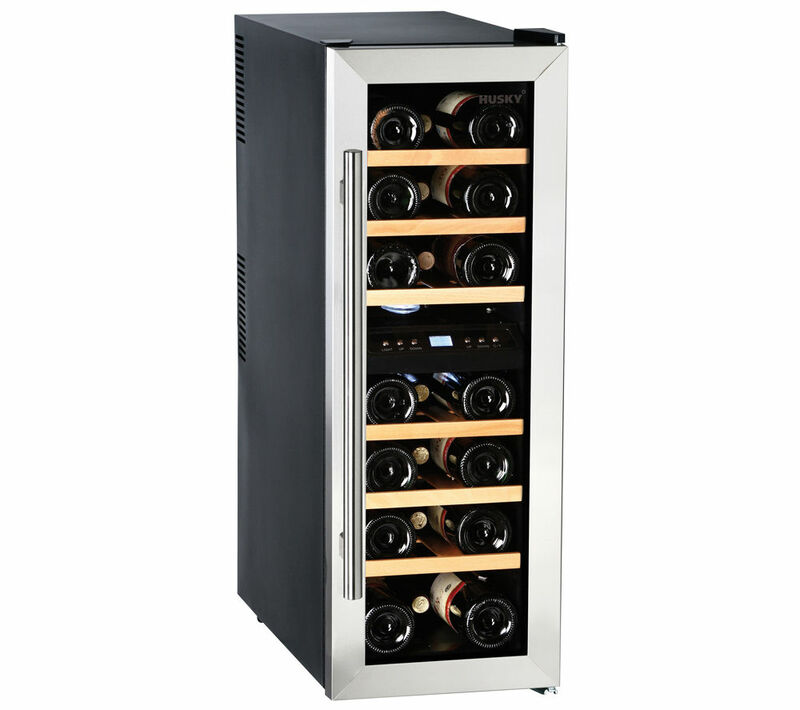 Keep your drinks chilled, rested and well ventilated with the slim Husky HUS-CN215 Drinks & Wine Cooler. 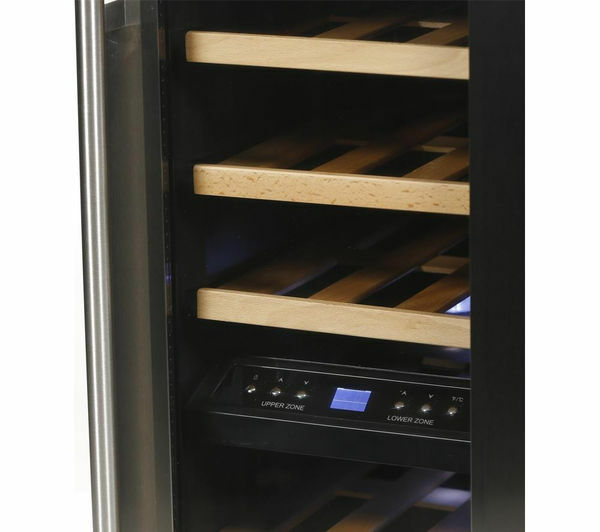 Please note: This appliance is for freestanding use only.